is the url. Not sure if he is registered here so figured i'd pass it on. very nice, been following the Wc3 Pro scene for ever and im very excited to see these old school players in Sc2. Sweet, he finally starts streaming! Awesome news! Hopefully he gets it featured asap. He needs to be featured on TL!!!!! 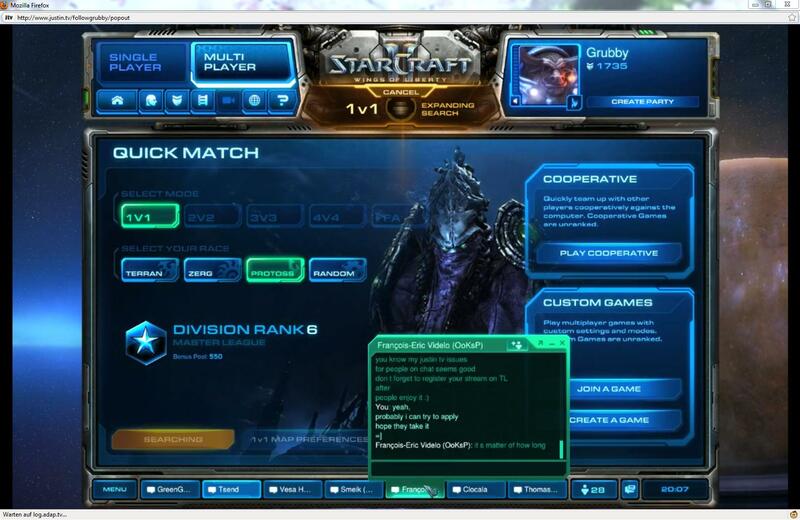 EDIT: Grubby: "I can try to apply [to stream on TL.net]. Hopefully they accept it. " Boxer, White-Ra, Grubby, Flash fighting! My favorite player to watch since Warcraft days, thanks. Someone on EG needs to contact and tell him to apply haha. He should get featured pretty fast given his affiliation with EG and how big of a name he is in E-Sports. Thats awesome, thanks for posting! He may not be the best sc2 player yet, but this will be very interesting to watch nethertheless. Really nice stream.Thank you for posting it.I hope he registers here and gets featured. Thanks for posting! It's great to be able to see his progress directly. Nice to see his army control. Hope he streams a lot! He's my favorite player of all time! Someone can tell him to go to this thread http://www.teamliquid.net/forum/viewmessage.php?topic_id=175682 for info about how to get a stream listed on TL. Shall be featured! My vote for it neoww! awesome grubby! :D FOLLOWING and watching!